The High Court of Manipur has informed to all the candidates who has been seelcted for the typing test for the recruitment of LDA that the computer tying test will be held on 20th Jan 2019. 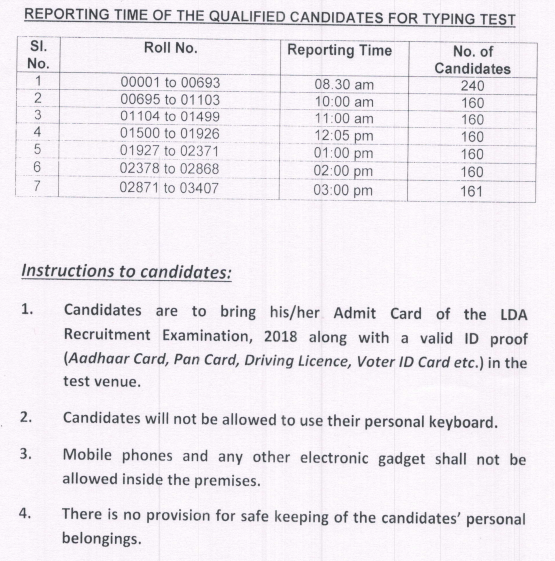 Date of Typing Test: 20th Jan 2019. Candidates has been informed to bring his/her Admit Card of the LDA Recruitment Examination 2018 along with a valid ID proof in the test venue.